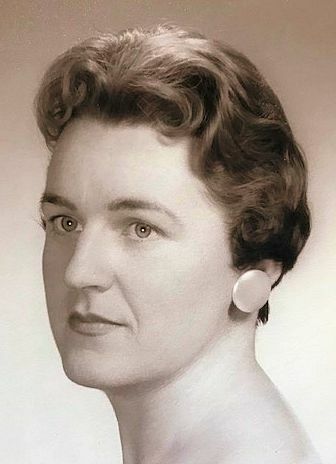 DONNA, Anne M. (Sheehan), of Brockton, formerly of Quincy, passed away peacefully on March 14, 2019, after a period of failing health, at the age of 90. Born and raised in Quincy, Anne graduated from Quincy High School and then attended Bryant and Stratton Business College in Boston. For many years she volunteered at the Carney Hospital in Dorchester while working at Estabrook & Co. Stock Brokers in Boston up until 1960 when she left to get married and start a family in Brockton. While in Brockton she did volunteer work at the Brookfield Elementary School Library for years. In her free time, Anne was an avid reader, loved baking for family gatherings and her kettle was always on so she could enjoy sharing a cup of tea with family and friends. Anne was the wife of the late Joseph W. Donna. Loving mother of Joseph Donna and his wife Gina of MI, John Donna of Brockton, Patricia Macomber of Brockton, Susan Evans and her husband David of NJ and the late Stephen Donna. Daughter of the late Richard and Catherine Sheehan. Sister of Catherine Morin of Sandwich and the late Mary Bersani and Ellen Sheehan. Dear “Nana” to Jennifer, Katie, Kristen, Christopher, Justin, Stephen, Beau and Joseph Donna, III and “Great Nana” to James and Karina. Relatives and friends are respectfully invited to attend a visitation period on Monday, March 18th from 10:00 AM to 12:00 Noon in the Cartwright Funeral Home, 69 So. Franklin St (RT 37), Holbrook. A Funeral Service will be held at 12:00 Noon in the Funeral Home. Burial will follow in the Massachusetts National Cemetery, Bourne. In lieu of flowers, memorial contributions may be made in her name to Steward Home Care, 30 Perwal St, Westwood, MA 02090.